Electronic Arts Inc. (NASDAQ:EA) investors should pay attention to a large decrease in activity from the world’s largest hedge funds recently. Our calculations also showed that EA isn’t among the 30 most popular stocks among hedge funds anymore. Does this mean that hedge funds dropped the ball on EA right before its huge run in Q1? We’re going to take a look at the key hedge fund action regarding Electronic Arts Inc. (NASDAQ:EA). How are hedge funds trading Electronic Arts Inc. (NASDAQ:EA)? At the end of the fourth quarter, a total of 57 of the hedge funds tracked by Insider Monkey were long this stock, a change of -28% from the previous quarter. 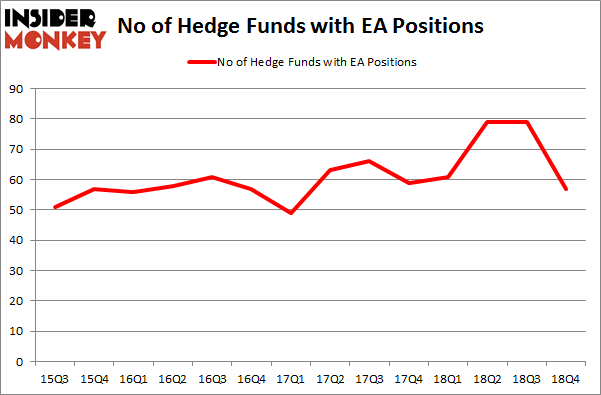 On the other hand, there were a total of 61 hedge funds with a bullish position in EA a year ago. With the smart money’s capital changing hands, there exists a few noteworthy hedge fund managers who were upping their stakes considerably (or already accumulated large positions). Among these funds, D E Shaw held the most valuable stake in Electronic Arts Inc. (NASDAQ:EA), which was worth $260.8 million at the end of the third quarter. On the second spot was Melvin Capital Management which amassed $256.7 million worth of shares. Moreover, AQR Capital Management, Two Sigma Advisors, and Coatue Management were also bullish on Electronic Arts Inc. (NASDAQ:EA), allocating a large percentage of their portfolios to this stock. Seeing as Electronic Arts Inc. (NASDAQ:EA) has faced declining sentiment from the smart money, logic holds that there was a specific group of money managers that elected to cut their full holdings in the third quarter. Interestingly, Stephen Mandel’s Lone Pine Capital said goodbye to the biggest position of all the hedgies followed by Insider Monkey, valued at close to $946.6 million in call options. Gabriel Plotkin’s fund, Melvin Capital Management, also sold off its call options, about $416.2 million worth. These bearish behaviors are intriguing to say the least, as total hedge fund interest dropped by 22 funds in the third quarter. Let’s now review hedge fund activity in other stocks – not necessarily in the same industry as Electronic Arts Inc. (NASDAQ:EA) but similarly valued. These stocks are Consolidated Edison, Inc. (NYSE:ED), Southern Copper Corporation (NYSE:SCCO), Centene Corp (NYSE:CNC), and Sprint Corporation (NYSE:S). This group of stocks’ market caps match EA’s market cap. As you can see these stocks had an average of 29.5 hedge funds with bullish positions and the average amount invested in these stocks was $950 million. That figure was $2284 million in EA’s case. Centene Corp (NYSE:CNC) is the most popular stock in this table. On the other hand Southern Copper Corporation (NYSE:SCCO) is the least popular one with only 15 bullish hedge fund positions. Compared to these stocks Electronic Arts Inc. (NASDAQ:EA) is more popular among hedge funds. So, even though a large number of hedge funds sold out in Q4, the overall hedge fund sentiment towards EA was very bullish. Our calculations showed that top 15 most popular stocks among hedge funds returned 19.7% through March 15th and outperformed the S&P 500 ETF (SPY) by 6.6 percentage points. A large number of hedge funds were also right about betting on EA as the stock returned 25.4% and outperformed the market as well. Were Hedge Funds Right About Flocking Into Sempra Energy (SRE)? Hedge Funds Dropped The Ball On Fortive Corporation (FTV) Here is What Hedge Funds Think About AutoZone Inc. (AZO) Were Hedge Funds Right About Souring On Canon Inc. (NYSE:CAJ)? 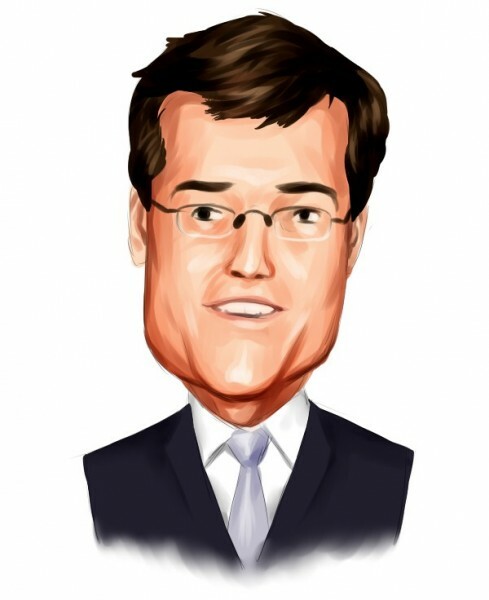 Here is What Hedge Funds Think About BT Group plc (BT) Is IQVIA Holdings, Inc. (IQV) A Good Stock To Buy?